Cross-country mountain biking or XCO (the acronym given to the Olympic discipline) has increased in popularity in South Africa and globally over the past few years. The growth of this particular cycling discipline can largely be attributed to its inclusion in the Summer Olympic Games in Atlanta in 1996. When an Olympic medal is on the line, international sporting federations tend to direct resources to the discipline in an attempt to increase the chances of success. In addition to its inclusion in the Olympic programme, the UCI World Cup series and high-profile World Championships have attracted some big brands as sponsors. The increased financial support has led to international races being beamed across the globe to fans eager to see if a Swiss, French or Czech flag will be raised above the top step. In South Africa, the late Burry Stander’s success forced us to pay attention to XCO racing and paved the way for others such as Philip Buys, James Reid, Alan Hatherly, Candice Lill (nee Neethling) and Mariske Strauss among others. Pietermaritzburg hosted two UCI World Cup events in 2012 and 2014 and the World Championships in 2013, which brought the World’s best to our doorstep. 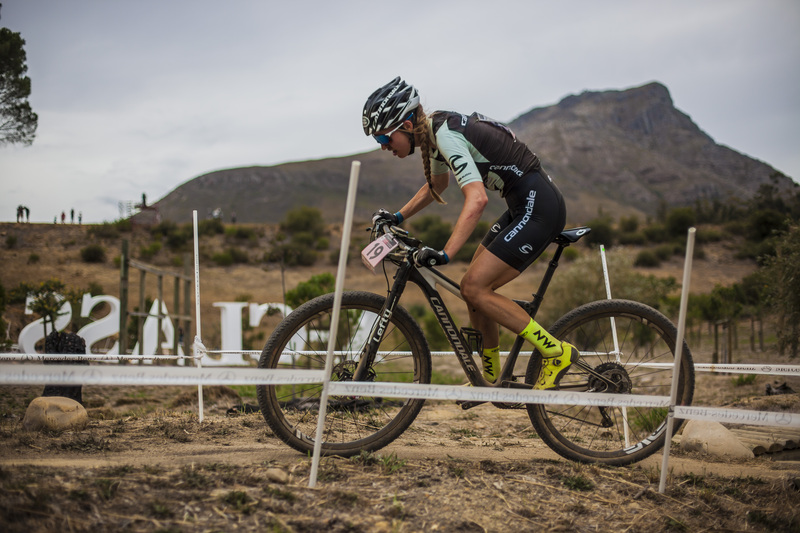 Participation in the National XCO Cup series has also increased, not only within the elite categories, with more age-group athletes taking part in this exciting discipline. An XCO race is a mass start event that typically lasts between 90 and 105 minutes and takes place over numerous laps of a predetermined course. The course usually consists of climbs, technical descents and single-track. The intermittent nature of XCO requires specific physiological characteristics, which may differ from those required for success in other cycling disciplines. In this article, we will unpack what it takes to be a successful XCO racer. A single lap of an XCO circuit will have a large amount of single track, which may make passing slower riders tricky. Riders’ starting position is determined based on the ranking relevant to the specific race. Starting towards the back of the field will result in an immediate disadvantage, compared to riders who start towards the front and can continue to ride at their desired pace. Riders who are less-technically proficient may slow down their more skilled competitors, but more on the importance of skill later. Researchers at Massey University in New Zealand, performed a longitudinal analysis of the effect start position had on finishing position in UCI World Cups from 1997 – 2007. Their results showed that finishing position is highly dependent on start position. In addition, the researchers recommended that developing athletes, should explore strategies that could assist them in improving their starting position. One such method is accruing UCI points from lower level UCI races, such as National XCO Cup races and stage races, as opposed to only racing World Cup races. 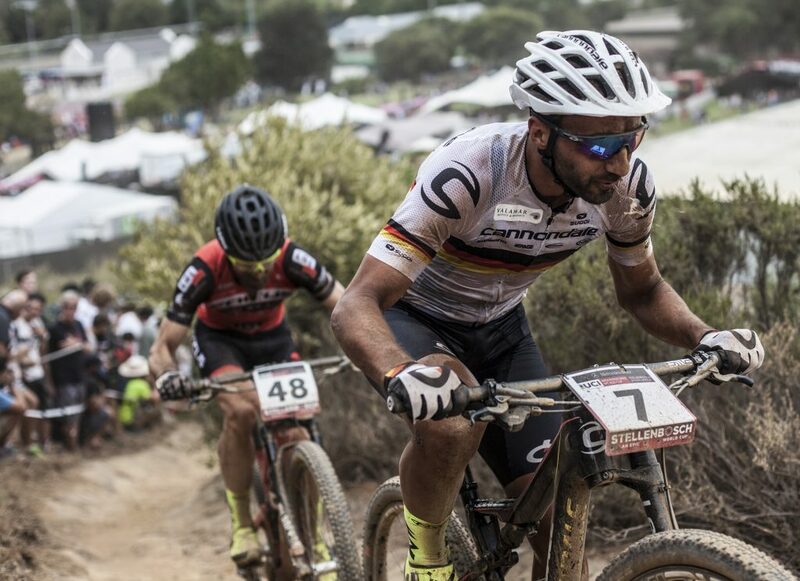 Talented, developing XCO racers should be patient and gradually increase their ranking over the competitive season, rather than expecting an instant increase in ranking position. Sports science researchers enjoy bringing athletes into a laboratory in an attempt to find associations between physiological variables and performance. In road, marathon mountain-biking and certain track disciplines, the relationship between these physiological variables and performance can be very strong. However, physiological variables determined during standard laboratory testing fail to predict XCO performance on their own. 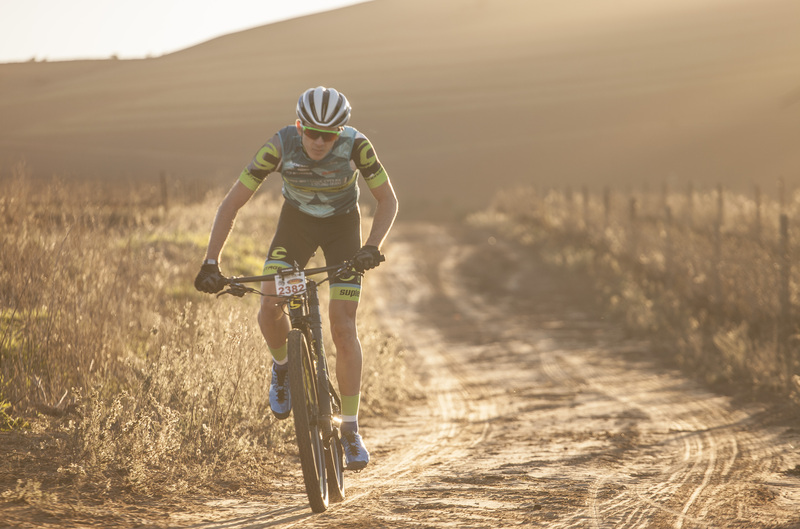 The main reason for this is the absence of an ‘XCO-specific’ test that can provide better insight into the rider’s ability to cope with the demands of the event. In order to better understand the demands on an XCO race, let’s take a quick look at how we produce energy during exercise. Lactate threshold (LT) or functional threshold power (FTP) are terms often used to describe the maximal average power output an athlete can sustain for approximately one hour (https://www.bikehub.co.za/features/_/articles/training-nutrition/training-with-a-power-meter-the-ins-and-outs-r4971?source=topic). When riding at intensities below your threshold, energy is predominantly supplied through the process of oxidative metabolism (aerobic metabolism), which takes place in the mitochondria, the little power plants within our muscle cells. Oxidative metabolism requires the use oxygen to produce energy from carbohydrates and fat. During longer endurance events, such as road or marathon mountain biking races, this is the primary process involved in energy production. Oxidative metabolism has a large capacity to produce energy, but it is not immediately activated and once activated, produces energy at a slower rate compared to other energy systems. By comparison, glycolysis (anaerobic metabolism), which also involves breaking down glucose, or its stored form, glycogen, does so without the use of oxygen. Although energy production happens at a far greater rate, when compared to oxidative metabolism, the energy yield is far less. Energy required for short intense efforts (< 2 minutes) will predominantly be produced via glycolysis. Glycolysis results in the production of two molecules of pyruvate and two hydrogen ions (H+ or protons) for each glucose molecule metabolised. Pyruvate can then enter the mitochondria of the muscle cells and be metabolised further via oxidative metabolism to produce yet more energy. However, if there are insufficient mitochondria and/or low levels of oxygen in the working muscle (due to a low levels of fitness), glycolysis could slow down or even stop. In order to prevent this, pyruvate is converted to lactate by absorbing the proton. This turns lactate into a type of proton shuttle. Remember that pH is a measure of proton (H+) concentration, so by absorbing the proton, lactate is reducing the acidity of the muscle cell rather than increasing it as previously thought. At high rates of glycolysis, lactate is pumped out of the muscle cells by specialised transporters, which results in an increase in the amount of lactate in your blood. One of the physiological adaptations to high-intensity training is an increase in the number of these ‘lactate transporters’ in our muscle cells, which allows us to clear lactate from the working muscles at a faster rate. Once in our blood, lactate can be transported to other muscles, which are working at a lower intensity, where it can be used to produce energy through oxidative metabolism. In the case of an elite XCO rider, the lactate produced in the legs may be used as a fuel in the muscles of the arms and upper body. Understanding which energy systems are involved in during a particular activity allows coaches to tailor training programmes that will ensure that the relevant energy systems are appropriately stressed. Creating sessions specific to a particular energy system will improve the functioning of that system and allow for greater energy production. Now that we know what the energy systems involved in energy production are, how do we measure/monitor them? However, despite the somewhat strong association between aerobic capacity and XCO performance, the stochastic (intermittent) nature of XCO racing places a high premium on anaerobic capacity. Initial research into factors associated with XCO performance were fairly unidimensional and only examined the association between data from standard VO2max testing (VO2max, PPO and LT/FTP) and XCO performance. Researchers quickly discovered that despite the strong correlations between these variables and XCO performance, a big part of the proverbial puzzle was missing. The intermittent nature of XCO racing means that performance will most likely be heavily reliant on an athlete’s ability to repeatedly produce a high power output. A recent study examined the association between intermittent power output, measured by a series of sprints with short rest or recovery periods and XCO performance. The study made use on an intermittent power test, which consisted of 20 intervals of 45 seconds of work and 15 second rest periods. The cyclists in this study also performed a 20 minute time-trial in order to determine their FTP (95% of the average power output for the 20 minute effort). The average power output for the 20 intervals and the FTP value were both divided by the mass of the riders in order to account for differences in body size. The cyclists then all took part in an XCO race and the relationship between relative FTP, IP and race performance was examined. Interestingly, the best predictor of XCO race performance was in fact the intermittent power test. While the association between FTP and race performance was strong, it was not as good a predictor of performance as IP was. The increased popularity and availability of power meters, means that intermittent power output can be determined from a field test or training session. For example, two sets of 6 x 40 second sprints with 20 seconds of recovery (A session commonly referred to as 40:20’s), can provide a useful performance predictor for XCO athletes. For coaches or self-coached athletes, including such stochastic or intermittent power sessions are also an ideal preparation for a XCO race. The coaches at Science to Sport regularly include such stochastic intervals, and measure performance and progression by analysing the normalised power (a weighted average of power designed to better represent the true physiological load) across the whole intervals set. 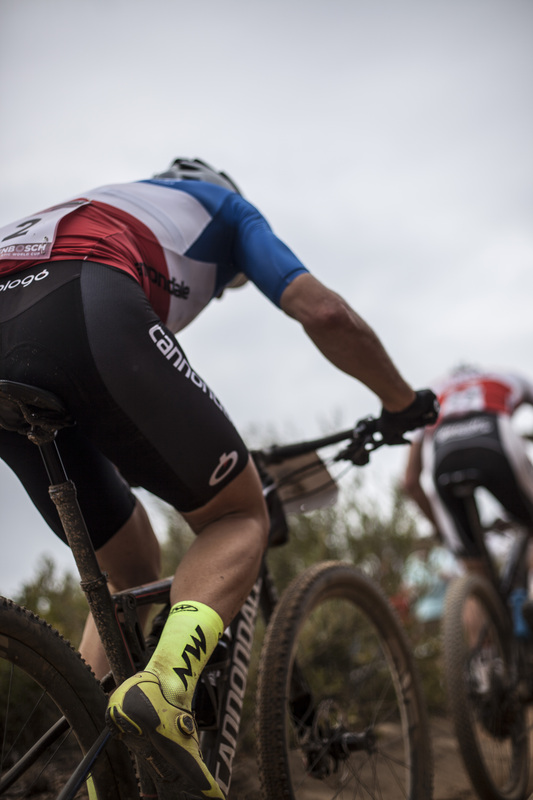 Power meters have also given us coaches the ability to closely analyse the demands of a XCO race. Although each XCO race will differ, typically an athlete will spend approximately 35% of the full duration of their race (approximately 90 minutes for elite categories) at a power output above their threshold. Approximately 30% of the full duration of a race will also be spent not producing any power. This occurs on downhills, or when coasting on flats or around corners. Therefore, sessions specifically designed to mimic these demands may be of great benefit to XCO racers. As a practical example, the 2016 South African National XCO Championships were help at Cascades MTB park. Each lap of this course consisted of two moderate length climbs or sections where approximately 60m of altitude was gained. The figure below represents the power data from one of our elite athletes for the first 15 minutes of the 2016 SA Champs. For watt/kg comparisons, this athlete weighs only 72 kgs. 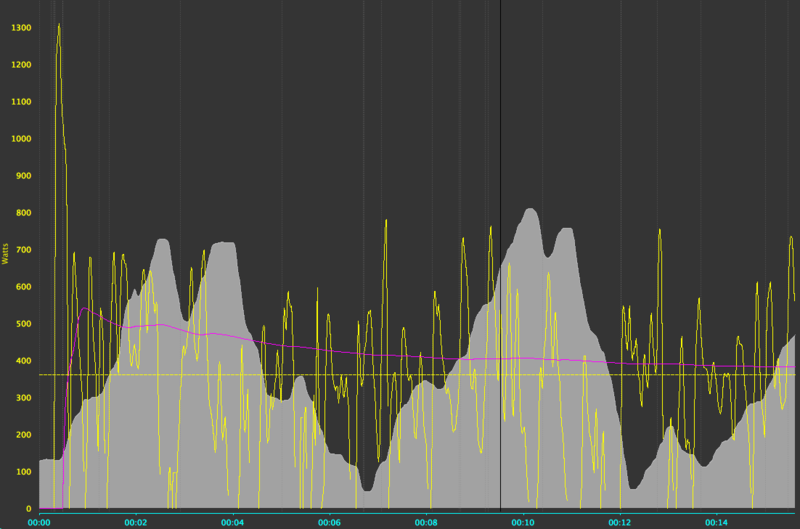 From the gun you can see that the athlete kicked out ~1300 watts and had to maintain 1000 watts for 18 seconds. This was followed by several spikes well over his threshold (demonstrated by the yellow dotted line). By the top of the first peak in the course the athlete had averaged 500 watts for 2:30 minutes. The second climb on the course is also very undulating, which results in several efforts far exceeding his threshold power. 10 Minutes into the race his average power was 354 Watts (this include all the downhills too) and his normalised power was 408 watts. The complete opening lap of the course resulted in a normalised power of 385 watts, which far exceeding his set threshold of 360 watts. In this particular race, this athlete completed the full 90 minutes at a normalised power of 350 watts, which again illustrates the extreme demands of an XCO race. The first 15 minutes of an XCO race. This specific example was taken from an elite athlete racing in the 2016 South African National XCO Championships at Cascades MTB park. The yellow solid line represents the power he is producing at the time. The yellow dotted line represent his functional power threshold. The course profile (altitude) is represented by grey shading. The pink line is a representation of his normalised power at that specific time point. XCO tracks are becoming increasingly technical and this places a high premium on the skill level of XCO racers. Uphill climbing ability will be largely determined by the physiological characteristics mentioned above, while descending requires less propulsive work and places a great influence on rider skill. Riders who are able successfully negotiate technical single track descents without additional pedalling, should recover faster than their less skilled competitors. The improved recovery will allow riders to produce more power on subsequent sections of the lap. All cyclists, but XCO riders in particular, should dedicate time to their training for skill development. In addition to the ability to negotiated technical single track, recognising the most appropriate line is also an important skill to master. Decision-making is fast becoming a popular area in sports science. Previewing a track with a more experienced rider who can assist riders with correct and timely line choice. The variety of XCO tracks in the National and World Cup XCO circuits, means that one bike may not be appropriate for all courses. Tracks that have a large amount of climbing may be best suited for a hardtail, where improved climbing efficiency may outweigh the benefits gained while descending on a full suspension bike. The more technical courses may best suit a full-suspension bike and there is definitely an increase in technical tracks in modern day races. Suspension systems on mountain bikes are designed to reduce the vibrations experienced by riders while they navigate technical single track descents. Excessive vibrations will have a negative impact on performance, but increasing the ‘cost’ of the exercise. Apart from propelling the rider and their bicycles, the rider’s muscles will have to stabilise the rider and work against the vibrations. Suspension systems that best reduce these vibrations can add a performance benefit. Mountain biking can be an arduous task and like stated, the kind of bike to suit the track should be selected appropriately. Six of the best has a variety of assorted bicycles collected from various sources with reasonable prices. In summary, XCO performance will be determined by a host of factors including; an athlete’s aerobic capacity, their ability to repeatedly produce high power outputs, their skill level and to some extent their equipment.